Xiaomi has been a well-known name in smartphone industry, mostly for its cost-effective and great build quality phones. It has been a very popular choice when you consider to buy a new Android phone. The best part of all the Xiaomi phones are that they come with almost of all the advanced features that an expensive phone has but you can get all of these features at much cheaper price. These phones are the best choice for the people who are looking for excellent mobile camera. All the Redmi phones have excellent quality of camera. 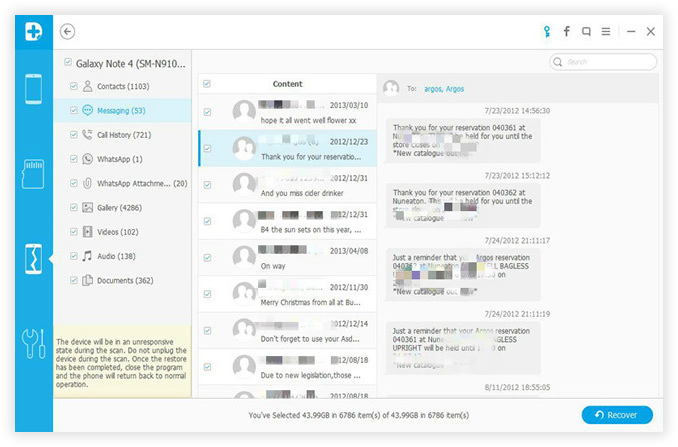 File Type : Contacts, SMS, Photos, Music, Video, WhatsApp Messages, Call logs and Documents. Xiaomi Device: Mi 6/5/4/4S/4i/3/2S/2/1S, Mi Note 3/2, Redmi Prime/3/2, Redmi Note 3/2 and more. Downloading the software from the official site is the first step that you should go for. You can get the latest version of this software by clicking the above button. Once the download procedure is completed, please install the program on your computer. 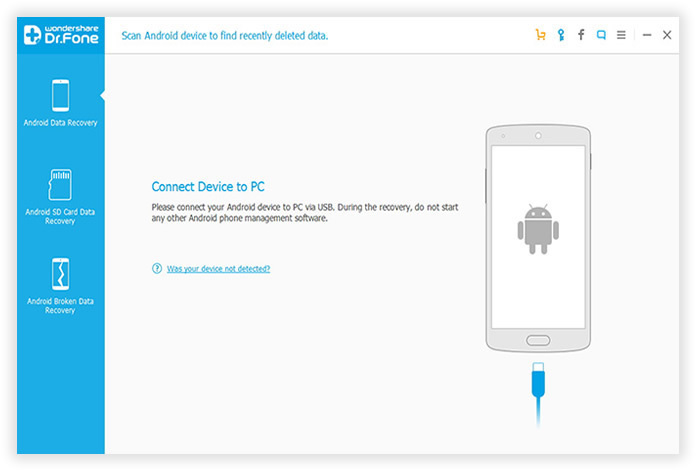 It will take a few minutes and click "Recover" button to launch the software. The program needs to communicate with Xiaomi phone via USB port. So you should connect the device to computer in this step. Go to Settings and navigate to About phone. Tap Build number 7 times to unlock Developer options. Back to Settings -> Developer options and turn on USB debugging. 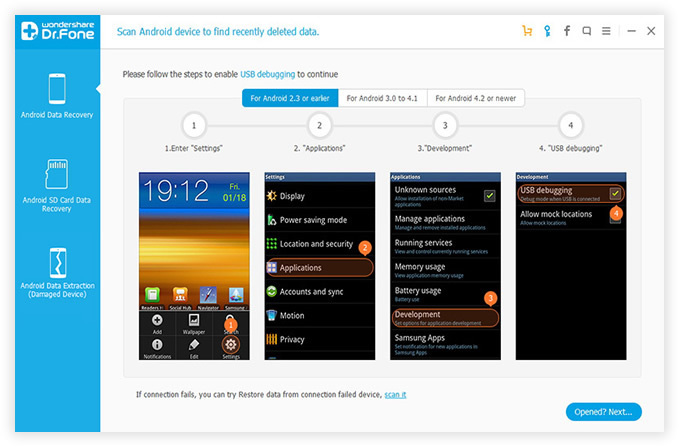 Once your device gets detected by the program, you can select the type of data that you want to recover. Now you need to click "Next" button to initiate the procedure. Now click "Start" button to start analyzing and scanning procedure. You can choose two options for the recovery procedure and those two options are Standard Mode and Advanced Mode. It is always better to start with Standard Mode as it works faster. Be patient and wait for a few minutes. Once the scan process is completed, you can preview all the files shown in this program. Now they are grouped into different categories so you can find them more conveniently. Check the items that you wish to restore. Finally, click "Recover" button and select a folder to save them on your computer. 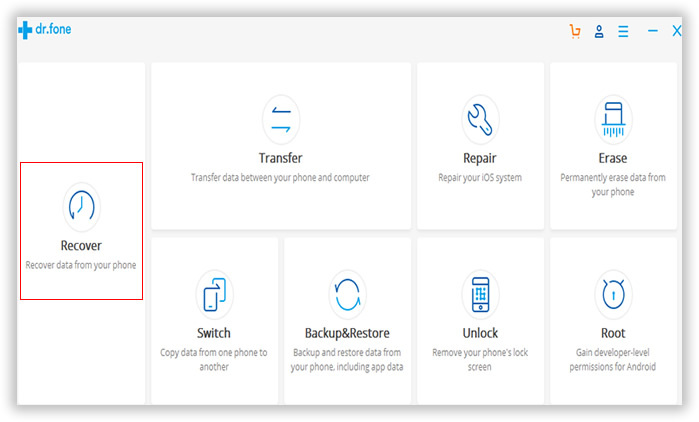 The entire procedure of recovering your lost data in your Xiaomi phone is so simple that anyone can do it freely. The best part of this software is that it comes with easy to follow step by step guides. 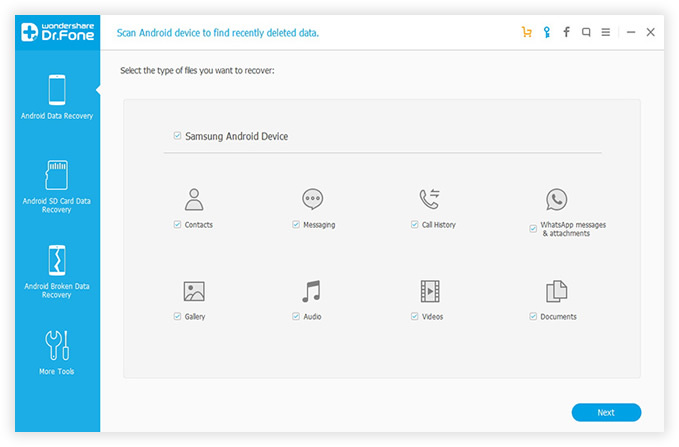 In these days, losing data from Android phone is not a big problem because you can easily recover it with the help of Data Recovery for Android. It is always recommended to test the program and never miss a single chance to retrieve the deleted files. What's more, the trial version of this software is completely free of cost. Note: When you get back all your lost data, please back up your phone regularly to reduce risks for the valuable data. It would be much faster to recover deleted files from backup file.